In 1997, Ben Affleck and Matt Damon gave us a soft and emotional tour of Boston in Good Will Hunting, as they knew it growing up. They explored the values of hope and family. In 2007, ten years later, Affleck went it alone and took us back to Boston with Gone Baby Gone, exploring themes of loss and grief, right and wrong. 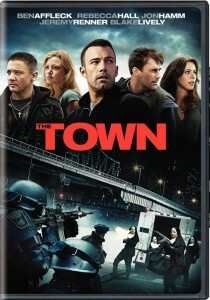 In 2010, Affleck took us to the doorstep, sat us down on the curb, and said, “Watch.” The town, Charlestown, to be specific, lives and breathes by itself as the central hub of bank robberies in New England. The film’s opening quotes tell us that the trade is almost a birthright, something you’re born into, or against. For the four lads in this film, it’s the only life they know, and they’ll go to incredible lengths to protect it.